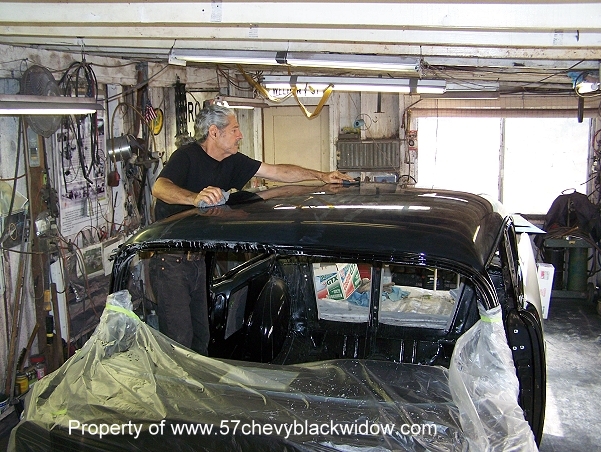 "Old Guy Scott" starts the color sanding and polishing process with the roof. Photos# 393 and 394 shows the wet sanding with a soft flexible block and #2000 grit paper. 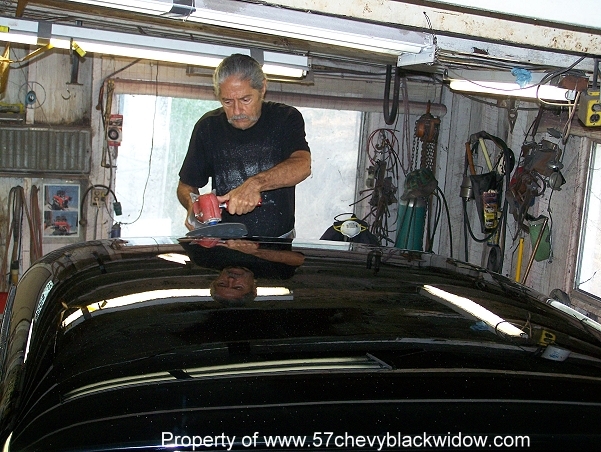 Photo #395 shows him using a car washing squeegee to remove excess water, this will show the sanding results as you go. Photos #395 and #397 shows "Old Guy Scott" using a buffer and mild compound to remove 2000 grit sanding marks. 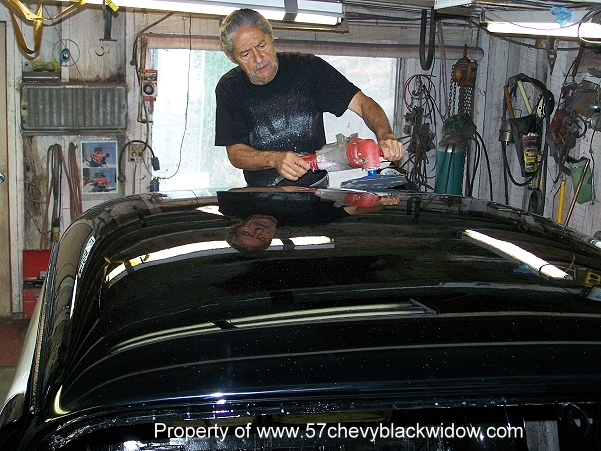 Photos #398 and # 399 demonstrates the use of foam polishing pad glaze, this is used to remove any swirl marks the polishing may have left. 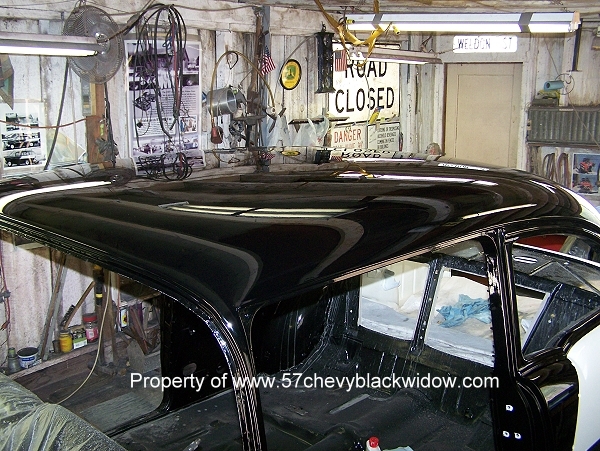 Photo #400 is the final results after waxing. This paint job is true perfection.